If I have said it once I have said it a hundred times. I LOVE Monster books. 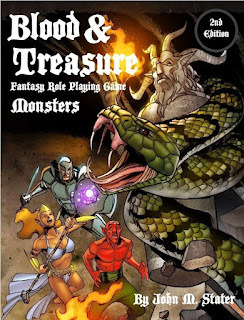 Any and all monster books. I even grab monster books for games I don't play. 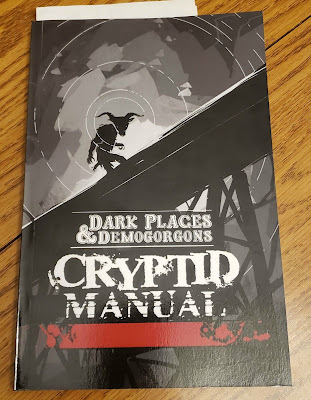 So when Eric Bloat they head monster hunter at Bloat Games asked if I would be interested in looking over his new monster book (Kickstarting today) for his FANTASTIC Dark Places & Demogorgons I screamed HELL YES at my computer. Now I promise to be fair here but a couple of words of full disclaimer. First I was sent this book as part of an agreement for a review. That is no big, I get a lot of books this way and I always try to be fair. Secondly. Well, look above. I am predisposed to like Monster books and I already love DP&P and cryptids are a TON of fun. So please keep all this in mind. 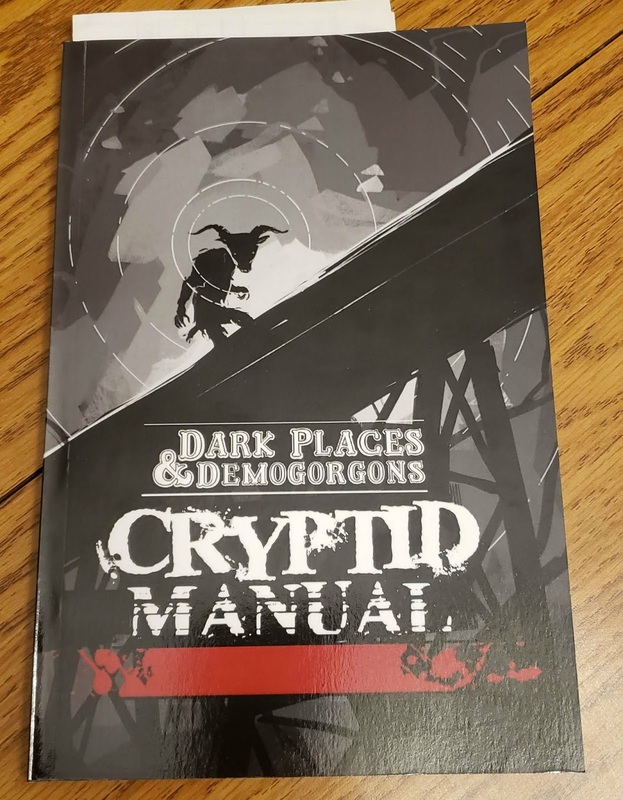 Dark Places & Demogorgons: Cryptid Manual is a digest-sized book weighing in at 90 or so pages. Some bits look like redacted Governmental documents and blood splattered hunter's notebooks. It's actually pretty cool looking if not 100% original (see Chill, Supernatural and Conspiracy X). That being said though it is also 100% EXPECTED. 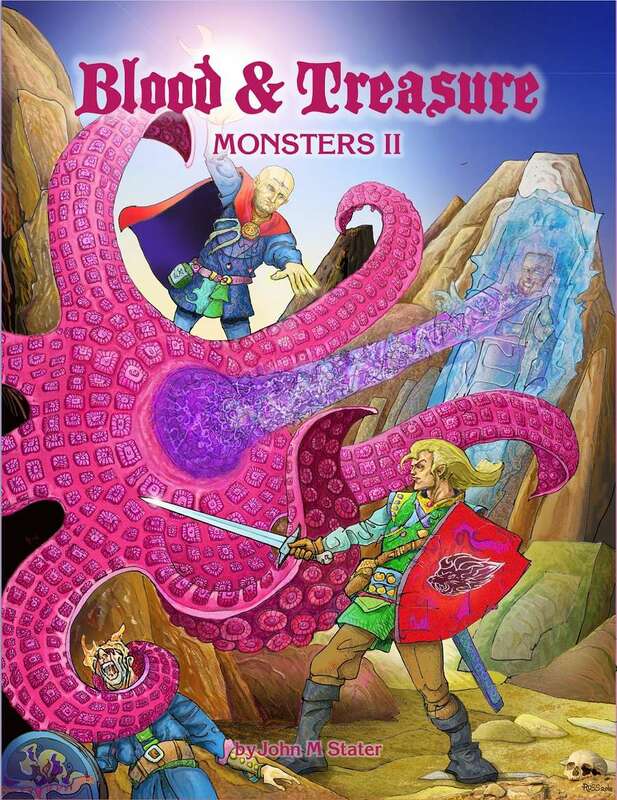 That's HOW I want my 80s monster hunting guide to look like. 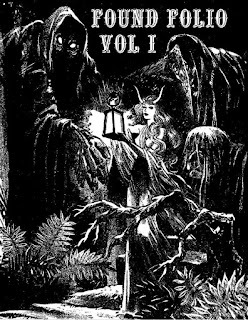 The interior and the cover features two-color art (blacks and reds) on glossy pages. Now the gloss might just be my pre-copy version, or not. In any case the color, the art, and the layout are all a leap ahead in terms of style and look than all the previous DP&D books. If this is the future of their books then the future looks good. 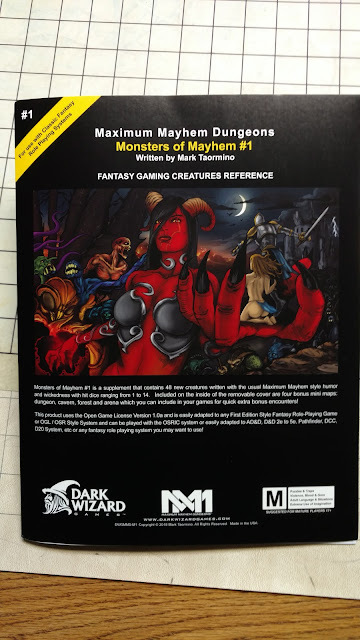 A little over 50 monsters fill this book. They use the same stat block as DP&D so that also means they are roughly compatible with Swords & Wizardry (I'd say about 99%) and most other OSR-flavored games. 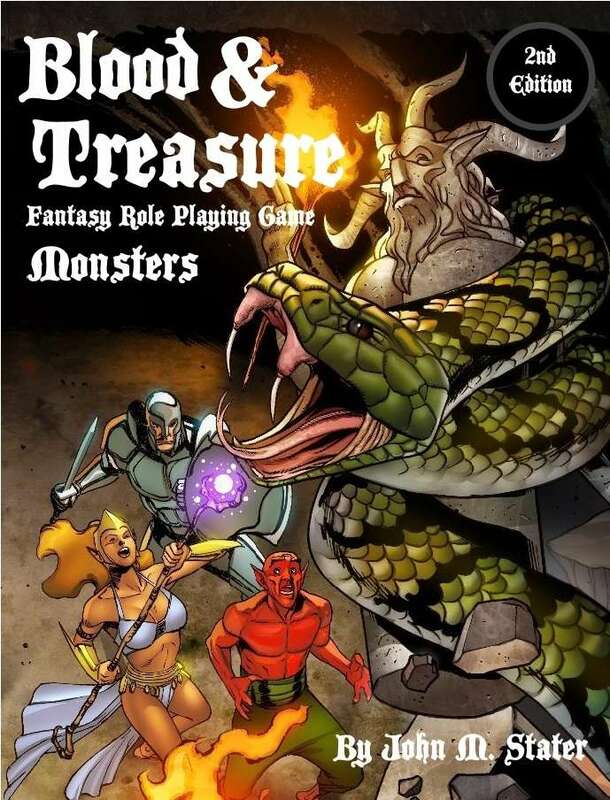 Given the size of the book it fits in nicely with my Swords & Wizardry Whitebox games, so I have another monster book now for that! Each monster gets a page. Some exceptions occur with the Bigfoots and the E.T.s, but still, it's a good bit for each one. Ok what are some of my favorites? There is the Almasti, which I also used in Ghosts of Albion. They have a special place in my heart. I'll likely include Almasti Shamen in my DP&D games like I did with Ghosts. Old faves like the Bunyip and Chupacabra. Holy crap there is a Crocoduck! While reading it I could not help but think how well this would also work with White Star or other White Box derived game. So even if you don't play DP&D (and you should really, it's just too much fun) you can still get a lot of enjoyment out of this book. 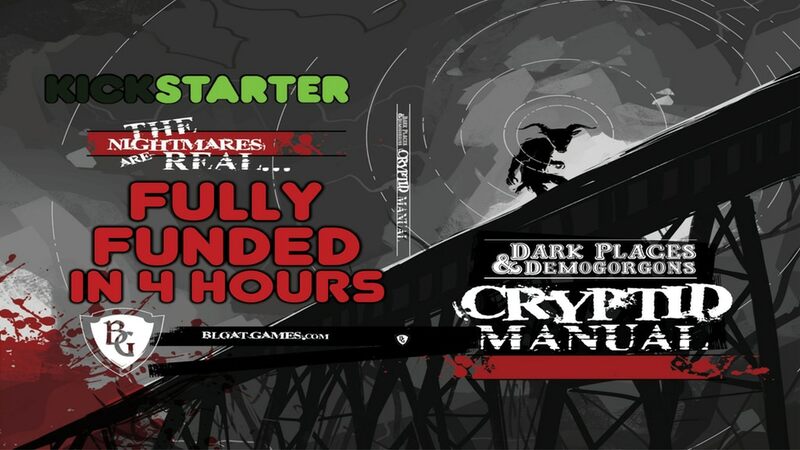 This book is currently in Kickstarter and you can get in for as little as 10 bucks. Not too shabby of a deal really. There is a lot more information on the KS page, but trust me. You want this. Just a few short days till the Winter Witch is out. Here is another frozen fiend to throw at your players! Again, the inspiration for this one should be obvious. This is me, saving the best for last! 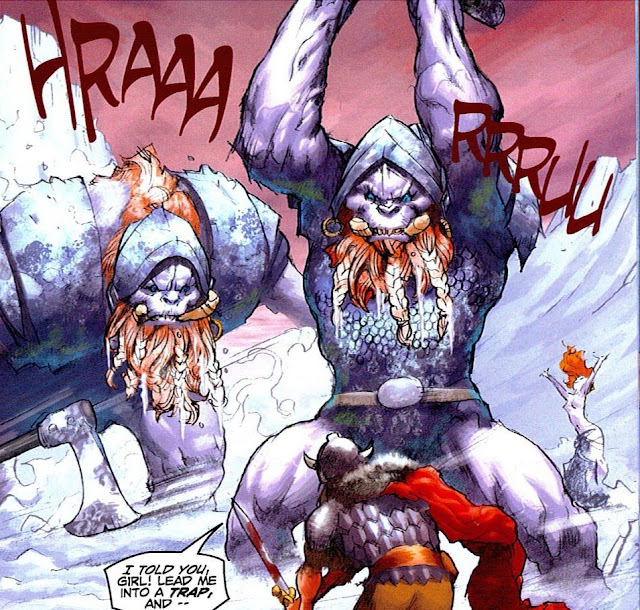 The horrible undead frost giant appears much as a giant wight or draugr. Indeed they are the wights among the Frost Giants. Horrible as they are powerful, these giant creatures appear as frozen skeletons with bits of armor still frozen to their frames. 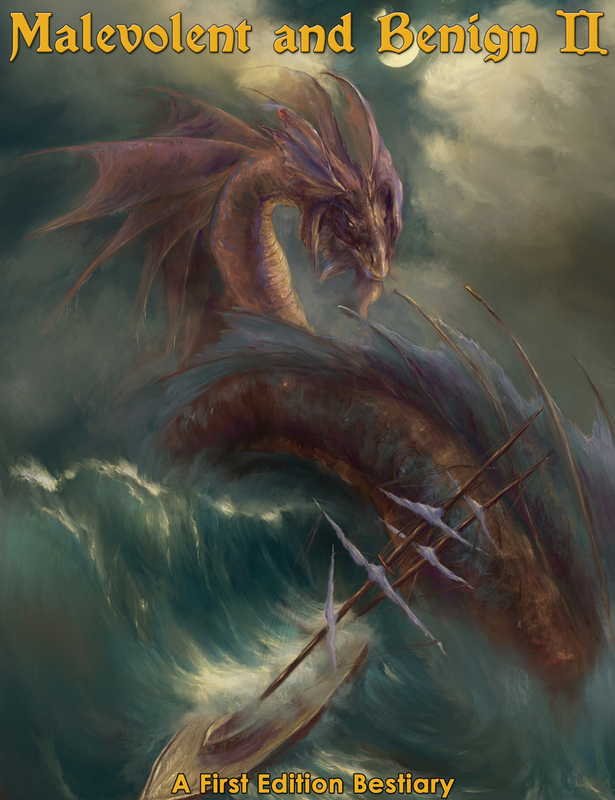 In their frozen existence they forget much about what they were so they tend to attack with fists or by whatever weapons they had when they died. They do have two special attacks they can use. First is a breath weapon of cold air that can do 4d6 points of damage. That is the only attack they can perform that round and they can only do it every other round. They also have a level draining attack that drains 1 level Constitution per a successful fist attack. These creatures do not hurl rocks like their living counterparts. These giants are usually found in great wastes and usually on the spot where they died. They typically do not have treasure save what they may have been carrying at the time of their death. Undead Frost Giants are turned as Vampires (12 HD). Woke up to freezing fog this morning. That sounds totally made-up, but there is a thin sheet of ice everywhere. Remind me again WHY I live in Chicago? Today's little beastie is another one from the upcoming Winter Witch book. It should feel familiar to any old-school gamer. Special: Spell-like abilities, growth, immune to all cold. 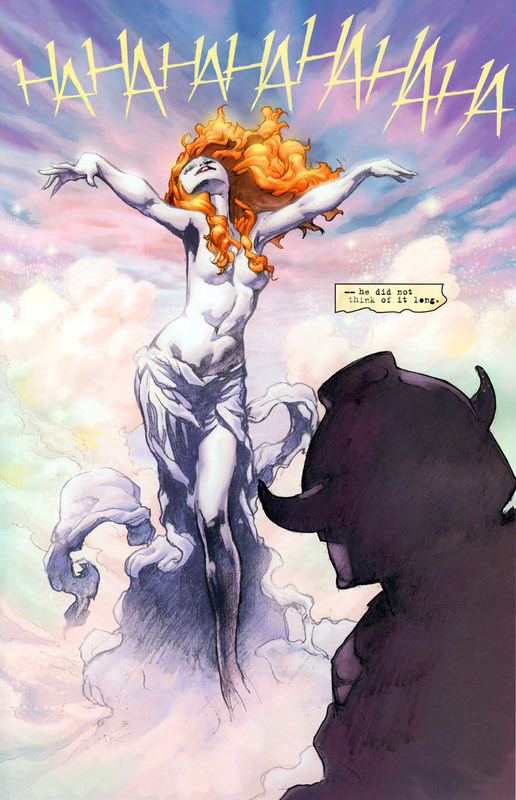 Frost Maidens are related to both Frost Giants and Snow Elves. It is believed that the first Frost Maiden was the offspring of a snow elf princess who was abducted by a Frost Giant Jarl. The Princess was a powerful winter witch and she cursed her abductor and his family. Now once every 100 or so births among frost giants will result in a frost maiden. Due to the curse, the frost giants cannot abandon their frost maiden daughters and they usually rise to levels of importance and power. These creatures stand some 5’ tall under normal conditions. Her skin is an unhealthy white or pale blue with white or platinum blonde hair. Their eyes are a piercing ice blue. They appear as a snow elf, but something is different about them. They are unearthly beautiful with melodious voices and a coquettish smile. The often will appear wearing only the barest minimum to support modesty, but little else. They are often barefoot. Frost Maiden are all irredeemably evil. Their favorite game is to tease human males to point they are maddened with lust then they lead them to their deaths. Usually in a blind canyon where they will bury them in an avalanche or trap them in a deep bit of ice. They are also not above leading them into ambushes of winter wolves, worgs, or their frost giant brothers. Some males they trick into acts of passion. The resulting children are the same race as the father. Children of these unions have an additional +1 to saves against cold-based attacks. 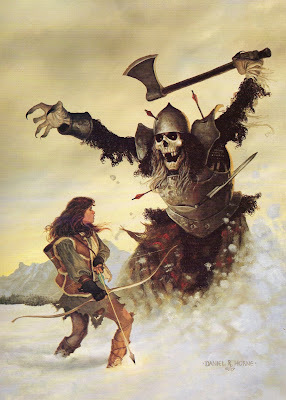 The frost maiden can cast spells as a 7th level winter witch and can also once per day grow to three times her size (15’) to the size of a frost giant once per day. She will revert to her normal size at sunrise. Some sages say that the “snow elf princess” was actually the Snow Queen, the Faerie Lady of Ice and Snow and the “frost giant jarl” was no less a personage than Thrym, lord of the Frost Giants. This is unconfirmed and both the Snow Queen and Thrym are loathe to discuss it. But it is known that many frost maidens serve the Snow Queen in her court. I used this monster as a "side quest" after running G2 Glacial Rift of the Frost Giant Jarl. The ice maiden in question was the daughter of the Jarl. My players were quite surprised when the "snow elf" they were chasing starting using spells and became a 15' frost giant. The Winter Solstice, also known as Yuletide, is a time of rebirth amidst the surrounding chill of night, winter and death. Witches of all traditions celebrate the return of the sun and rebirth of the Summer Lord who will reign until Midsummer. People of all sorts stop and turn to each other and say "Well done. You made, half-way through the dark." But not all Yuletide is celebrations. There are reminders that death still walks the lands. Such are the Blood Trees of Yule. Created by a powerful but evil and jealous witch these trees lure revelers to their death. Once a creature, medium-sized or smaller is within a foot of these trees they will lash out with a branch to impale the unsuspecting victim. Impalement happens on a critical roll of a natural 20. Once so impaled they pull the victim into their branches where they are drained of all blood, 1d4 Con points per round. The victim can be freed only on a successful Save modified by Strength. These trees possess a rudimentary intelligence. They cannot move but they can bend and sway as much as 5 feet from their stationary position. 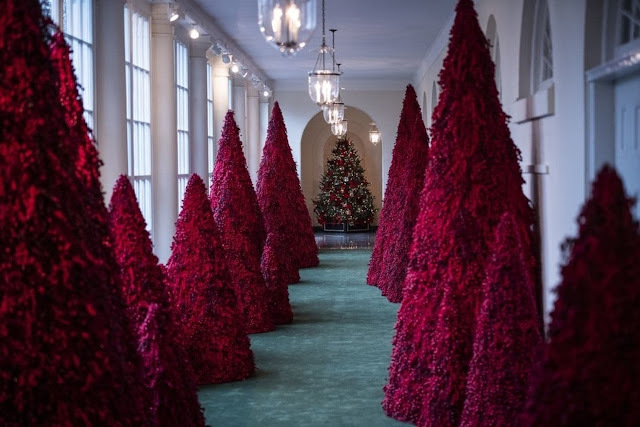 The redder the tree the more evil and dangerous they are. Encountering one such tree is usually the sign of some nearby corruption, the use of dark magics. Encountering three or more is the sign malign witchcraft. 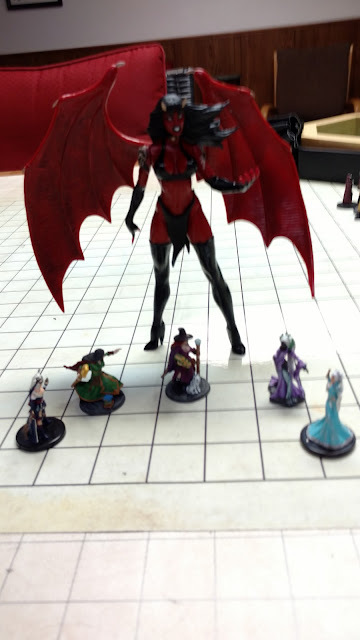 Encountering up to a dozen is a sign of the darkest, most evil form of witchcraft known. The foulness of such trees is eclipsed only by the foulness of the witch that created them. I have not always been a fan of Lamentation of the Flame Princess, but James Raggi does do good work and I AM a fan of Elizabeth Chaipradikul. 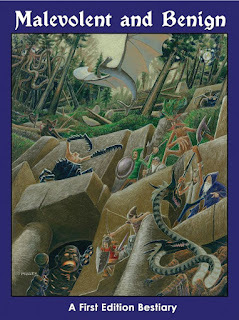 She did the fantastic WITCH Fated Souls and the forward to my Green Witch book. The book in questions above is She Bleeds. James mentions that the warehouse in question could have destroyed copies they paid for, so he is looking into it now. But the destruction of a book, any book, is anathema to me. So show Liz your support. Pick up a copy of one of her books. I can only imagine how this must feel to her. 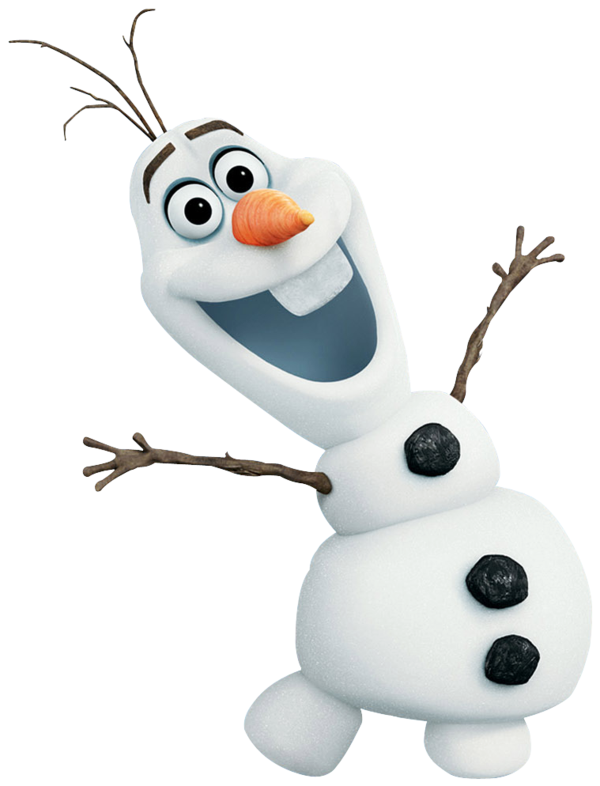 I am back from Thanksgiving break only to have the worst blizzard in two-three years hit the Mid-West. My kids schools are closed and my office is even closed! With all that snow outside it is a PERFECT day to do some more work on my Winter Witch book. Today I want to feature a monster that has some significance to me. 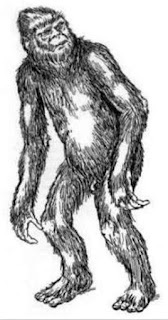 The Almas is a cryptid that dates back at least to the 15th century. I featured the almas as suspected antagonists, but later turned allies in the Ghosts of Albion adventure "Almasti". Here a tribe of Almas has come to London to stop the plans of the evil god Chernbog. For the Winter Witch I wanted something a little different, but close enough that it was obviously the same creature. Almas are the smaller, more intelligent cousins of the Yeti. Due to their smaller size, they do not have the yeti’s hug attack. For every group of six almas, one will be a shaman who has the spellcasting ability of a 2nd level winter witch. With the aid of the shaman, an Almas can fly on the boreal winds, but only after the sun has gone down. They are immune to normal and magical cold. Almas speak their own language and that of giants. Working hard to get the Winter Witch to you in time for the holidays. Until then check out the Cyber Monday sales at DriveThruRPG. All my Swords & Wizardry witch books are on sale. Halloween is over. The elections are done. I have cleaned up all the garden plants and set the clocks back. When I drive home from work and the weatherman is saying the "s-word" on TV. Time to get back to my oft-neglected Winter Witch book. Thought I would start the ball rolling here (though I have been working on it for a while) with a creature that almost went into the Witch for Swords & Wizardry White Box. 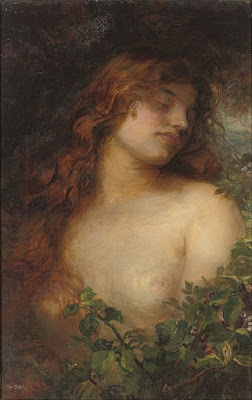 The Askafroa, also know as an Ash Wife, is the spirit of an ash tree much in the same way a Dryad is the spirit of an oak. There is a rumor that these creatures were made by the gods themselves to protect the sacred ash trees. Askafroa appear to be slightly smaller elvish humanoids. Their dark hair is intertwined with ash leaves and twigs but otherwise, they seem to be mortal. They are faerie and thus beautiful to behold, with long brown or black hair and piercing green eyes. Some though have been reported to grow hideous in countenance when their ash trees are threatened. This gives them their other name, Ash Hags. Askafroa do not attack unless their ash trees are threatened, then they can attack with their wooden nails which act like claws. They can also cast spells as a 4th level Winter Witch. Askafroa are very liberal in what they determine is a threat. Walking into their forest with an axe or even a torch might be considered a threat. If a human or elf makes an appeasement and the proper sacrifices in front of an ash tree then the Askafroa can be made more friendly and even talkative to the human or elf. Other races they do not trust or are unaware of. Like her dryad cousins, the Askafroa is bound to an ash tree. If she strays too far from the tree (more than a day's walk) she will begin to weaken losing 1d6 hp per day. If her tree is cut down or burned she will die. "Rain on the Scarecrow. Blood on the plow. Blood on the scarecrow. Blood on the plow"
Is there anything more ubiquitous to the midwest than the cornfield? How about that lone scarecrow in that field. Standing silent vigil throughout the summer and into the fall. 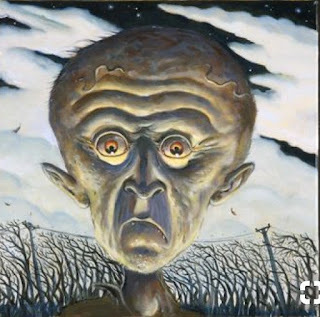 Are you sure he is not watching you? Scarecrows are basic guardians similar to golems, but not nearly as powerful. Like typical scarecrows, their bodies are made of straw and cloth. The stumble about their assigned area poorly and attack most anything that wanders through it. Some Scarecrows are bound to a post. A Scarecrow can use their paralyzing gaze to imprison any trespassers (save vs. Courage, fail means victim remains rooted to the spot). 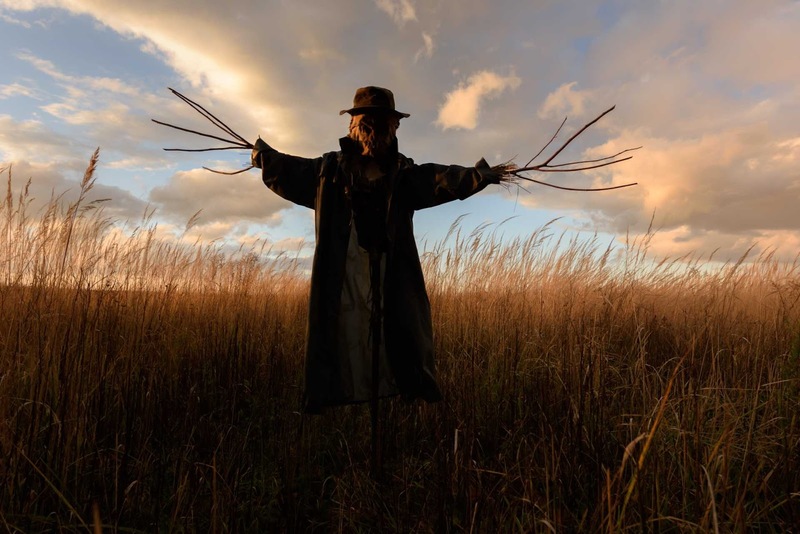 Scarecrows are assigned to protect a particular area. They never leave the area, even when chasing an intruder. They will attack anything, humanoid or animal-like in appearance that walks into its territory unless otherwise instructed by their creator. A scarecrow is immune to mind-influencing effects, poison, disease, and similar effects. They are not subject to critical hits, subdual damage, ability damage, energy drain or death from massive damage. 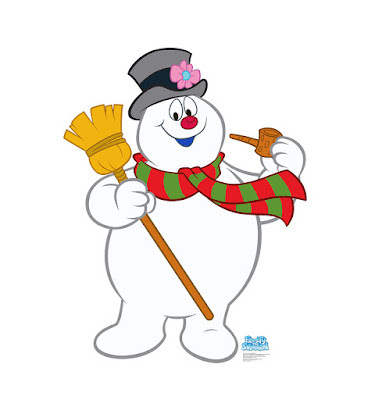 Fire Vulnerability: Because of their straw bodies, Scarecrows are extremely vulnerable to attacks from fire. They take triple damage from all fire attacks. Special: Paralyzing Gaze. Courage roll required if victim meets the gaze of a Scarecrow. They can't move for one moment. Bonuses: +1 to hit, +4 to hide in corn or soy fields. It's Monday of my Spring Break. I am getting a lot done over here but wanted to take a break and show off what came in the mail today. 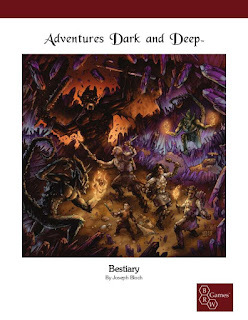 While I have had the PDF for a little bit now I was waiting on this print version to sing its praises. First off if you loved his adventures then you will low this monster book. 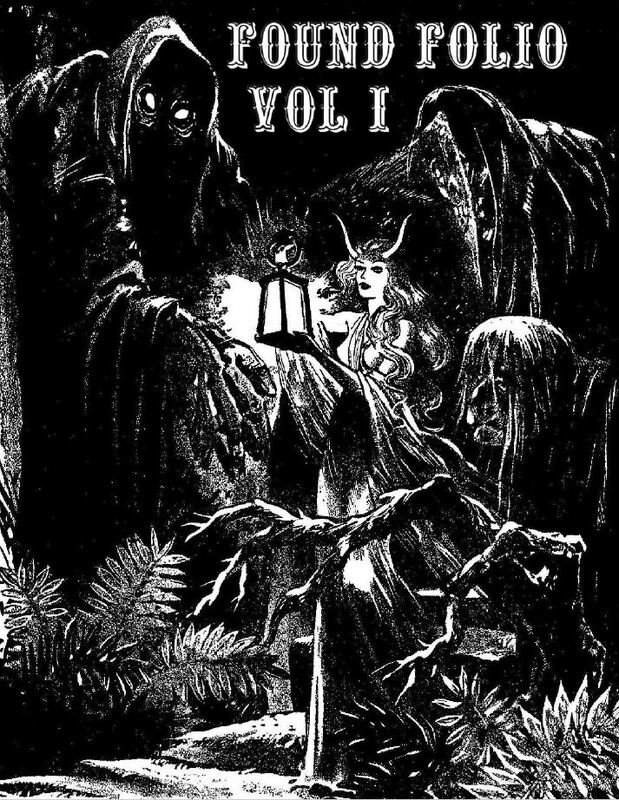 36 pages and 48 new monsters, each one more deadly than the last and just tons of fun. You won't find these monsters in the Fiend Folio or Monster Manuals, nor even in the pages of Dragon. But you will find them all here. 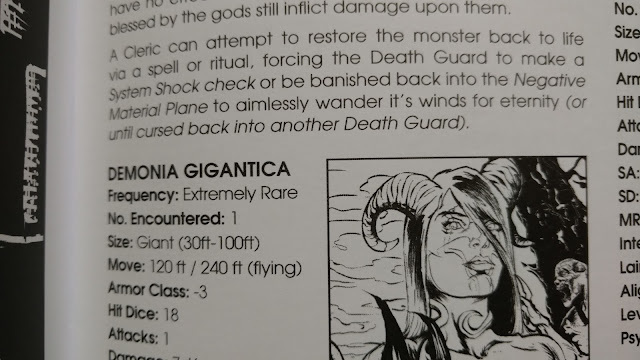 I have been waiting for a good reason to use a Demonica Gigantica against my players now for a while. According to the book this is a small one. 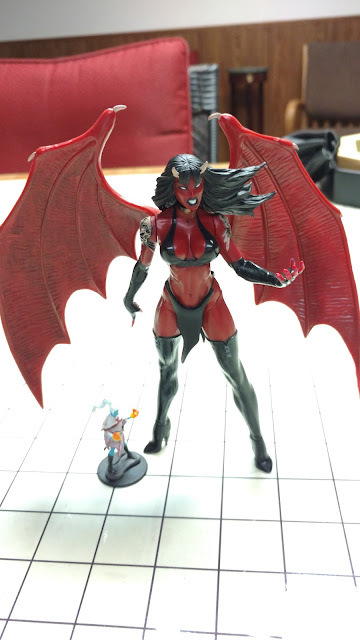 Now how about 5e conversion Mark?